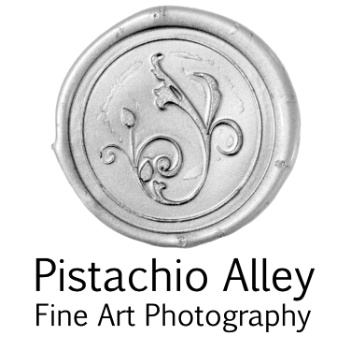 Pet Photography Cody Wyoming by Melissa Thompson of Pistachio Alley Fine Art Photography. Fur Babies, Four-Legged Friends, Man's Best Friend. There are a lot of endering names we call our pets. After all, they become such a huge part of our families and we love them tremendously. Gracie was just that, part of our family. A Yorkshire Terrior was our first baby. She was less than half a pound when we brought her home in October of 2000. She quickly became, what we thought, was the best dog in the world. All five pounds of her. She didn't play like a normal dog. She loved to play a game where she buried her head in the couch pillows and tried to "bite" you before you could "get" her. Sometimes she would cheat and peek. If we told her to stop cheating, she would stuff her head further into the pillow. Her best friend, aside from us humans, was a squirrel. They grew up together and would peek through the glass door to see if the other was ready to play chase around the tree. When she wasn't playing with the squirrel, she would sit on the back of the couch and watch the kids coming and going during the school day. Gracie's favorite toys were a stuffed carrot and a full size Ty brand dog. She would drag the dog into the bedroom every night and bark for it to be put on the bed. Every morning, she would drag it back to the livingroom where she spent much of her day. We had so many snap shots of our little spit fire running, playing, barking. None of them were very good because she moved so fast. I am so glad we had the where-with-all to take a professional pet portrait of her at age 13 when she was still feisty. The next three years really showed her age. She lost her vision, her hearing, and when she turned 16, her appetite. By January 2017, we knew it was time to lay her to rest. She wasn't eating, was no longer playing, and was falling down a lot. Our hearts were broken. Our first baby. Gone. But we have that beautiful pet portrait. It sits beside her ashes and we look at it every day. Our daughter, known as The Girl, had been asking for a dog of her own for several years. Four to be exact. She begged, pleaded, and negotiated for a dog. The answer was always, "no". We did not want to bring another dog into our home. Gracie was too fragile and I didn't want to deal with a puppy. It was by accident that we brought Hazel home. This oh-so-cute Golden Doodle. Dead set against another dog, I was the one that caved. I just couldn't leave her where she was. Extremely under weight, scared, and alone, she became ours. Well, The Girl's, anyway. This dog came to us at the perfect time and has helped us heal a bit from our loss of Gracie. She has renewed the joy in our household and adds so much laughter with her crazy antics. Hazel had her first dog photo taken just one week after coming to live with us. She had already gained five pounds and was looking healthy. Having only the one portrait of our dog, Gracie, made me realize that I needed to take them more often of the others. We need documentation to remember our pets as they age and change, just like the rest of our family. We need these photos for memories that we can hold, look at, and cry over once our fur-babies are gone. Click Pet Photography Cody Wyoming for more information about Melissa Thompson and Pistachio Alley Fine Art Photography.